Our home is situated in a quiet street of lovely properties. 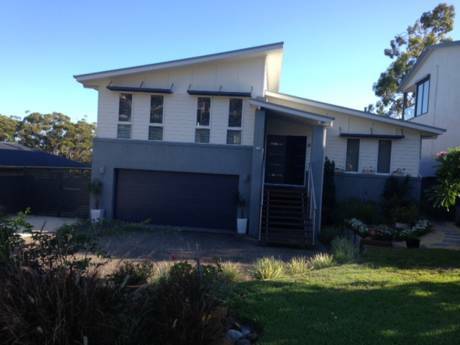 It has extensive views over Port Stephens harbour and the coastline to the north. 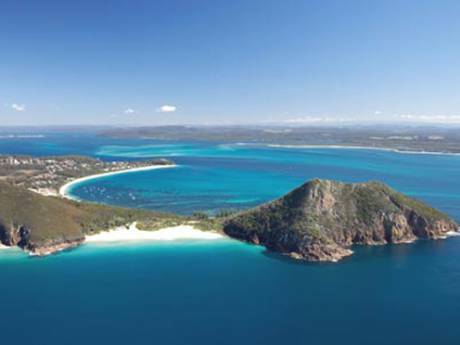 Nelson Bay is a quiet town and a popular holiday resort. 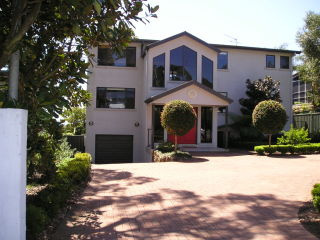 It is situated 2 hours north of Sydney and 30 mins from the city of Newcastle. The area consists of beautiful beaches, national parks and lovely countryside. The wine growing area of the Hunter Valley is only a short drive away.